Chrysler has appointed C. Robert Kidder as the new chair of Chrysler Group. Former Chair of Duracell and Boarden Chemical, C. Robert Kidder, has a big job ahead of him. Kidder will take the helm of Chrysler after its operating assets and possible global alliance with Fiat are determined through the courts and closed-door handshakes. He replaces Robert Nardelli under a new half-million-dollar salary cap scheme enforced by the Obama administration. Kidder has an impressive resume that spans 40 years of elite company involvement. He is currently on the board of several companies including Schering-Plough, Microvi Biotech, Morgan Stanley, where he is also lead director, and chairman and CEO of investment firm 3Stone Advisors. "I am pleased to join Chrysler at a time when Chrysler is poised to launch an exciting new era," said Kidder at the formal announcement in Michigan, USA yesterday. 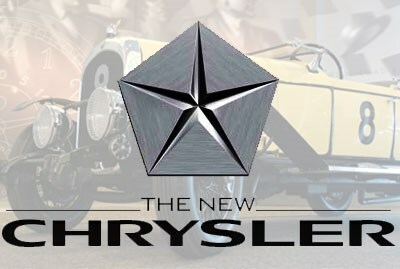 "I am confident that Chrysler will emerge from Chapter 11 (bankruptcy) a lean and powerful competitor, combining its own rich history of innovation with Fiat's technology and expertise to invigorate the American car market and to challenge other car companies around the globe." Outgoing boss Nardelli has been Chrysler's Chairman and CEO since August 2007, and had the unpleasant task of announcing Chrysler's intentions to file for bankruptcy, as well as a new global strategic alliance with Fiat, at the end of last month. He will take up an advisory role at Cerberus, the company that initially acquired Chrysler after its split from Daimler. "We are most fortunate that Bob Kidder will lead the new company through its transformation," said Nardelli. "My number one priority has been to preserve Chrysler and the livelihoods of thousands of people who depend on its success. With his broad expertise serving on numerous world-class boards and his accomplished business background, Bob will provide the leadership and strategic counsel that will help to create a strong global competitor moving forward." The latest issue of Wheels is all killer, no filler. On sale now!